Opening your album with a piece of music called 'Krautwerk' doesn't leave much to the imagination in terms of pointing towards certain influences, but there's a lot more to 'Lie In Light' than its predilection for the motorik sounds of the 1970s. While that opener nails the krautrock sound with an uncanny authenticity, this second full-length album from Kip Uhlhorn and Simon Wojan is as accomplished as it is restlessly diverse, veering from the psyched synth textures of 'Heme' to the blissed out waves of guitar distortion and dueting vocals on 'Mothlight Part 1'with a consummate knowledge of every nook and cranny of the space rock canon. 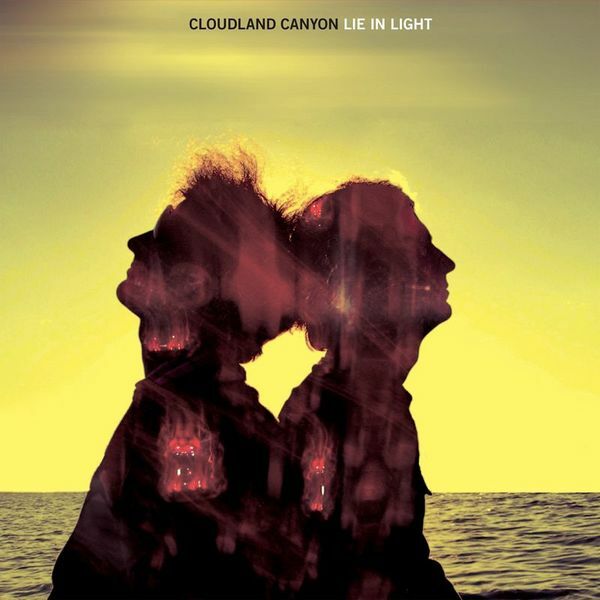 Cloudland Canyon are also one of those rare acts (although admittedly, less rare on Kranky) who seem equally at home cranking out esoteric sound waves as they are carving out instantly memorable melodic forms. This all comes together with an organic melding of styles and influences on the title track, which absorbs vicious noise oscillations into a maelstrom of harmonious sustaining tones - or better yet 'You And I', combining a strobing synth technique that references contemporary experimenters like Growing and F*ck Buttons as much as it does Cluster and Harmonia. Brilliant.